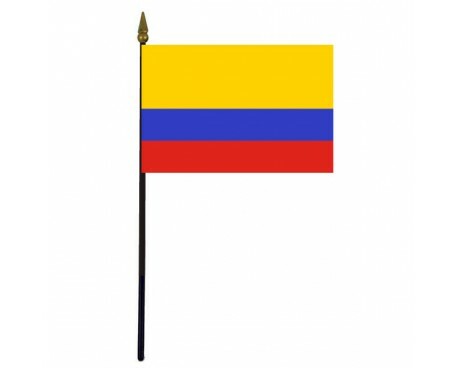 Colombia Stick Flag - 4x6"
The Colombian flag has represented the nation for almost two centuries, and it has undergone very few changes during that time. It bears a strong resemblance to many other flags in the region, so the flag of Colombia embodies the shared heritage of the nations in South America. 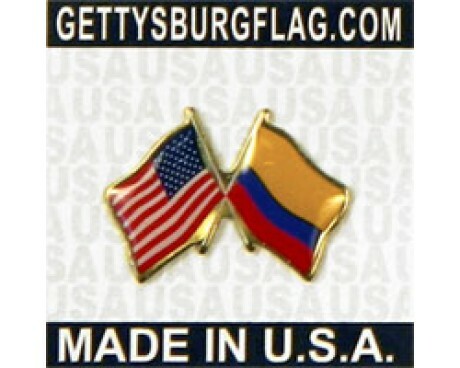 The Colombia flag consists of three horizontal stripes of yellow, blue, and red. The yellow band at the top of the flag take up half of the flag's area, while the rest of the flag is evenly divided between the bands of blue and red. 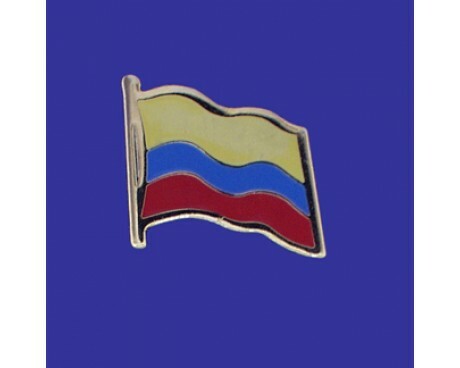 The yellow half of the flag represents the gold that can be found inside the nation, while the red band represent the blood that the people of Colombia shed during their fight for independence from the Spanish Empire and the blue band represents the sky and the sea that borders the nation. The modern flag of Colombia can trace its design back to the flag of Gran Colombia, the nation that would eventually split into Colombia, Ecuador , and Venezuela . The flag was designed by Francisco de Miranda, who gave two different explanations for it. Both of the sources link the flag to the time that Franciso de Miranda spent exploring Europe, but they disagree about the precise inspiration. His personal diary that he took the color scheme from the standard of the city guard of Hamburg, Germany. A letter that he wrote to a friend instead says that the flag was inspired by a conversation that he had with the German scholar, Johann Wolfgang von Goethe. The two men had discussed Goethe's theory of primary colors, and Goethe told Miranda that his destiny was to create a place in America where the primary colors were not distorted. There is no clear evidence that indicates which of the stories is true, and it is certainly possible that both of them influenced Miranda when he worked to design the Colombian flag. 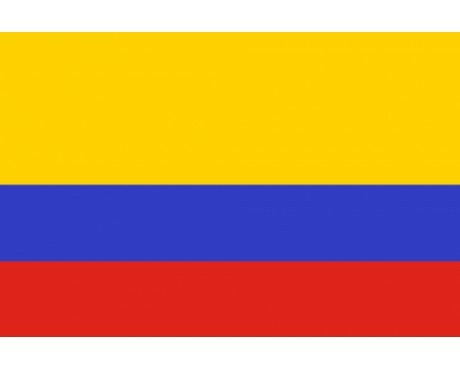 Several variations on the current Colombia flag were used before the current design was adopted. The flag of 1831 featured the national seal in the center of the flag. A flag that featured three vertical stripes and lacked an emblem replaced it in 1834, and was in turn replaced version that used horizontal stripes and featured a central cluster of white stars for a few months in 1861. The modern flag was adopted later that year, and it has been used to represent the nation of Colombia ever since.